Mindshare's survey reveals the wider public's hopes and fears for connected products and devices. In our survey, most initially thought of connected products as quite big ticket costly items for the home, such as fridges and heating systems. There was talk of a divided society of haves and not haves when it came to connected products, due to cost. However, once the conversation turned more towards the future and focussed on more everyday products such as packaging, this became less of a focus. A future world of everyday connected products really divided opinion. It was the issue of data privacy and security as with so many of the trends that kept people’s enthusiasm for the trend in check. Half of those surveyed did not feel comfortable with companies having access to their data to enable a home of connected products. The nightmare scenario of their connected home being open to hackers made people reconsider just how connected they’d want their home to be. Interestingly, women were less comfortable with the idea of sharing their connected device data. Only 44% felt comfortable with the idea compared to 56% of men. The other half of those we spoke to who were comfortable with the idea of sharing their data, believed a connected world of everyday things, would make their lives easier. 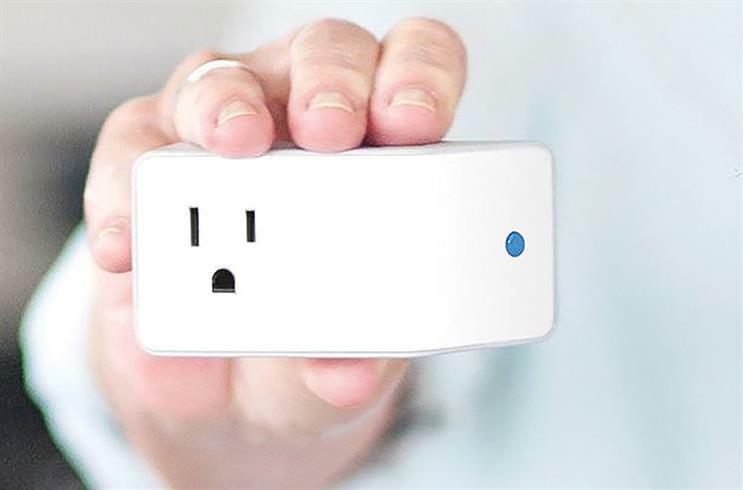 Almost one in three already had connected products in their homes. Busy lifestyles and the exciting possibilities connected products will bring in taking away some of the more mundane aspects of life were only seen as positive things. Generally men and under 35s were the most warm to this trend. Imagine if you had got hacked, and it was, like, ‘It’s 5am’, and you wake up, and you can’t turn Skrillex off. But as with Rise of the Machines, the stretch for many came if they felt they were not in control. A fridge making decisions on the best choice of milk brand was a scenario they did not feel comfortable with. They didn’t like the idea of brands being favoured in this instance and there was still too much that could go wrong in their eyes. 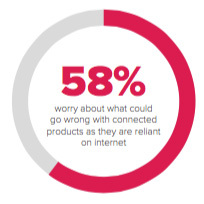 A significant 57% say that they worry about what could go wrong with products connected to the internet. After Rise of the Machines this was the trend that made people most apprehensive.